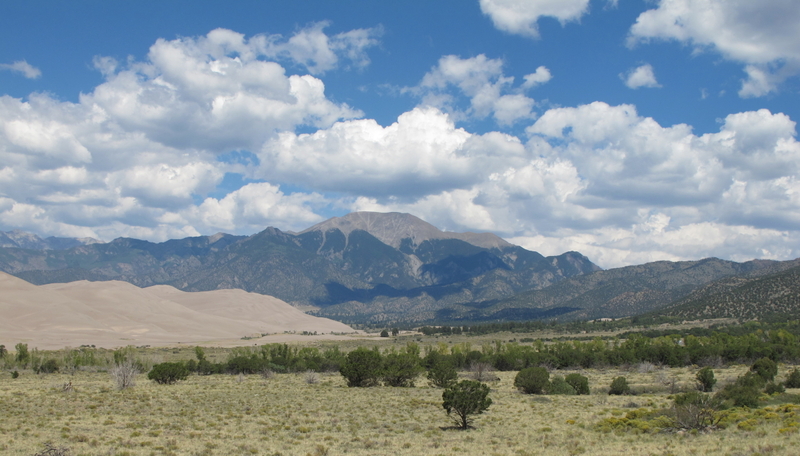 Mount Herard and Great Sand Dunes – KeaPOD 94 | KeaNeato! A wide shot of Mount Herard (elev. 13,297 ft [4,053 m]) with the Great Sand Dunes of Colorado in the foreground (at left). Photo by keagiles. Click on the picture to expansify. This entry was posted in beautiful, POD (picture of the day) and tagged Colorado, Great Sand Dunes, Mount Herard, photography. Bookmark the permalink.